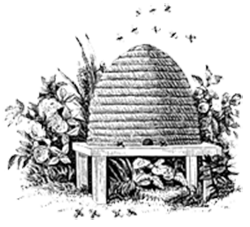 The terms " Sarum Bee Supplies", " Sarum Bees", "we", "us", "our" and "ours" when used in this Privacy, Data and Cookies Statement mean Sarum Bee Supplies of Livery Road, Winterslow, Salisbury SP5 1RF. Personal data may occasionally be transferred to third parties who act for or on behalf of Sarum Bee Supplies	or in connection with the business of Sarum Bee Supplies for further processing in accordance with the purposes to which you have subsequently consented. Sarum Bee Supplies reserves the right, at any time and without notice to you, to add to, change, update or modify this Privacy, Data and Cookies Statement, simply by posting such change, update or modification on this website. Any such change, update or modification will be effective immediately upon posting on the site.